NDTV India covered an event of Nanritam. Filix School of Education was set up by NANRITAM, a non-profit social welfare organization started in 2002 by a few like-minded professionals who have been working in this remote rural area since 2004, starting with a small eye care unit which had grown into a 100 bedded super-speciality eye Hospital in 2012. Being located in an area which have a modern thermal power station run by highly qualified professionals at one corner surrounded by a largely rural countryside with inadequate social infrastructure, Nanritam appreciated the yearning of increasing number of parents from all classes of society in these areas for quality English-medium schooling for their children, given the link between job opportunities, economic success and the English language. It was noted that even illiterate parents aspire and attempt to do whatever is possible to provide English medium education, often of uncertain quality, to their children because education for them acts as a vehicle of social mobility and a means to break out of the vicious cycle of poverty. 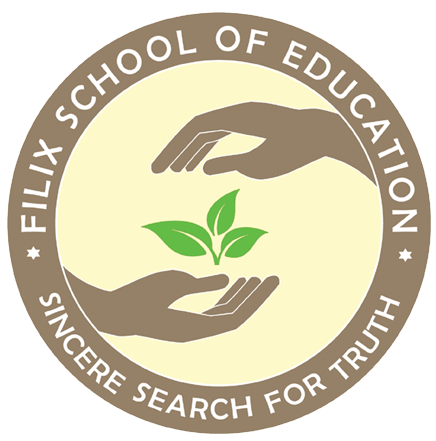 The Filix school emerged out of Nanritam’s acceptance of this reality that teaching English as a language has become a key determinant for future success and mobility of a child. Nanritam felt that our locational vantage point would enable us to set up a socially integrated schools that would benefit all students as current research shows that when a school reaches a stable level of about 30 percent middle-class students, the lower-income students achieve at higher levels and the privileged students do no worse. The Nanritam team have been visiting a number of pre and elementary schools in USA, Canada and Europe for a direct exposure to their teaching methodologies and research works on child psychology and have adopted those systems in Filix innovatively. Started in April 2014 with three pre-school classes : Nursery, KG I, KG II the school has currently reached STD VI with a total of 448 children (269 boys and 179 girls ). These children are from all sections of society including about 25 percent from the minority community. The aspiration is too make it a full fledged higher secondary school by the year………. It was a great joy and privilege to see the wonderful, selfless work of Nanritam. I pray to Thankur, Ma and Swamiji that the work will grow & flourish day by day. May the inspiring life of Swami Lokeswaranandaji continue to inspire all of us. What Nanritam’s Filix School is trying to do in a poor, rural region is quite astonishing – to provide the finest, creative education to children. To see classrooms full of happy students and enthusiastic teachers, using the best methods of education and latest ideas from around the world, including most recently, Finland, is heartening. What we need to do is to replicate this in other places. C. Marks Professor of International Studies and Professor of Economics at Cornell University, President of the International Economic Association, Former Vice President and Chief Economist of the World Bank and Former Chief Economic Advisor to the Government of India. Jai Ma I was deeply impressed at the intensity of the dedicated service offered by everyone of Nanritam. The great life and the inspiration of Swami Lokeswaranandaji is the guiding force behind every activities of this institution. It seems to me that Sri Ramakrishna and Holy Mother is holding the hands of all of you to fulfill their mission. Let this inspiration ignite inspiration in the heart of other institution and people – is my prayer. Happy to visit & stay are joyful day with all of you. My special thanks to Ranjana, Bharati and every dedicated doctors and teachers, volunteers. "You have created something magical. The school compares with the best and most expensive private and public school anywhere in the world. The model you have de veloped needs to be taken to other parts of the state and the country. It is not just what you are doing with the students; to have such a group of imaginative and motivated teachers as well says a lot about your management and creative skills. I would love to spend some more time here and to learn how to develop such a positive learning environment." I am absolutely delighted to have had a chance to visit Nanritam. I am deeply impressed with the dedication and sense of service of the doctors. Social workers and everyone else involved with this organization. The agriculture work is very innovative and could provide a new model for dry land farming. I look for want to coming back. One has to visit the place to believe that such miracles are possible. A state of the art eye hospital, a school for disadvantaged children, a green garden in the middle of a rugged, unfriendly terrain. God would bless the souls who made all this possible. For the more ordinary like me, it is to stare and admire. Speech by Professor Kaushik Basu on 'Indian Economic Development : The Challenges’. A speech by Professor Kaushik Basu, C. Marks Professor of International Studies and Professor of Economics at Cornell University and Former Vice President and Chief Economist of the World Bank on 29th July 2018 at 5.30 P.M. at Rabindra Bhavan, Purulia. 1. Notice about Summer vacation periodic tests and school timings. 2. Notice about Filix Fest.